Spice things up with a few colossal mechs! Some of you are probably still defending our beloved homeworld from the insect-and-robot menace in Earth Defense Force 2025. But what if I told you that something darker lurked on the horizon. Something that could only be handled by the Playstation 4? Introducing Earth Defense Force 4.1: The Shadow of New Despair, coming in 2015 to PS4, at least in Japan. This is something of an enhanced version of EDF 2025, fixing some of the issues and adding one big new element. Check out the reveal trailer. Kaiju love is in full effect over here, with earth's noble warriors piloting colossal robots while gargantuan monsters assault our cities and towns. We don't know much about the game so far aside from the new "huge robot fighting equally huge dragon-thing" feature, but we'll keep you posted. EDF 2025 was not my favorite game back when I reviewed it earlier this year, citing a slew of technical issues, a few gripes with the overall design, as well as shockingly archaic controls for the mechs. 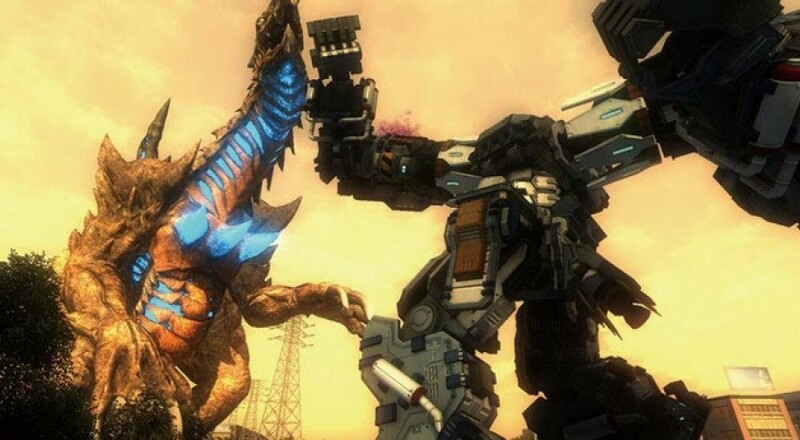 If this allegedly superior port doesn't make my console chug with single digit frame rate and control like hot garbage, I'd be very happy to sign back up with the EDF and keep the alien scum off of our planets. Have Time to Check Out 116 Earth Defense Force 2025 Screenshots? Page created in 0.2553 seconds.